An e-mail client (also mail user agent or e-mail reader) is a frontend computer program used to manage e-mail (receive, store and send messages). By installing novaPDF you can convert your e-mails into PDF files. 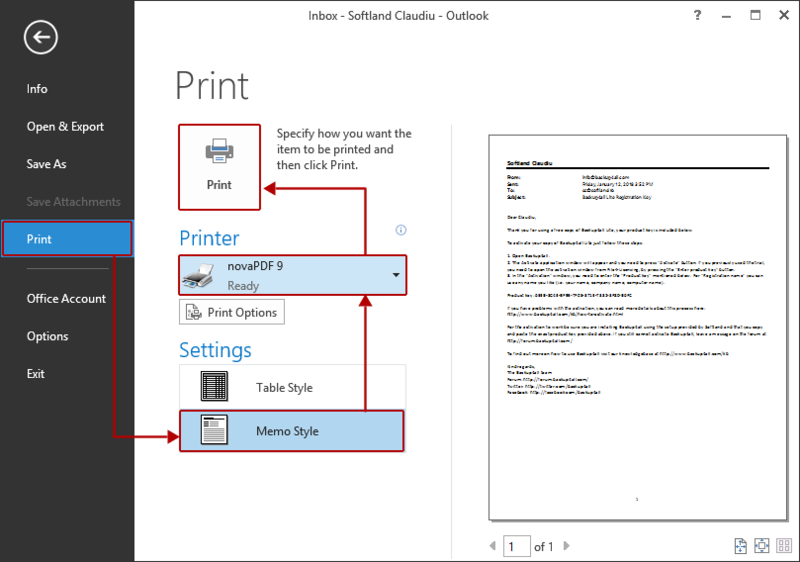 Simply choose novaPDF as a printer, select/open the email you want to convert and once you click the Print button you'll be asked where to save the PDF file. Having e-mails in PDF format is an advantage when sharing them with other users and certain important e-mails such as invoices can be converted into a searchable PDF file and accessed at a later time when needed. Click on Print and choose the location where you want the PDF file to be saved. 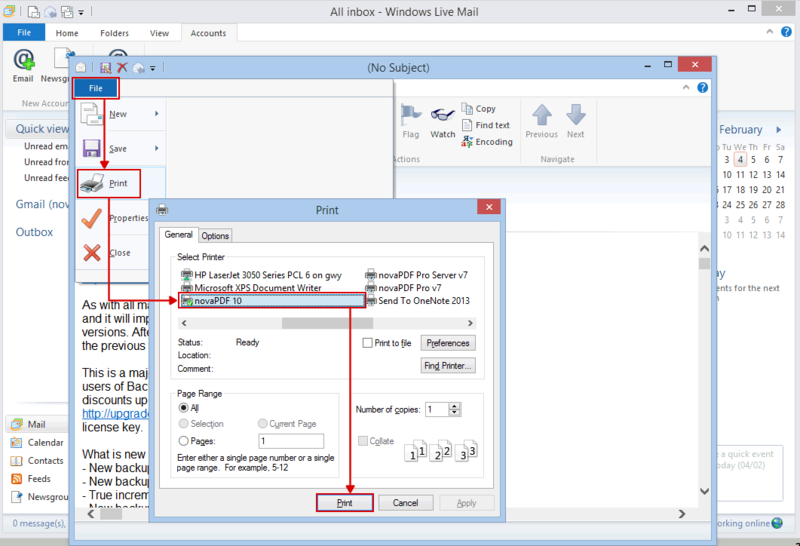 Windows Live Mail is an e-mail and newsgroup client. It is the successor to Outlook Express and it is only available for Windows Vista, Windows 7 and 8. novaPDF is installed as a virtual printer so you can create PDF files by simply printing to it instead of your normal printer. Click on Print and choose a location where you want the PDF file saved. This tutorial shows how to convert e-mails to PDF files, if you have suggestions on how to improve this article add a comment or rate it. 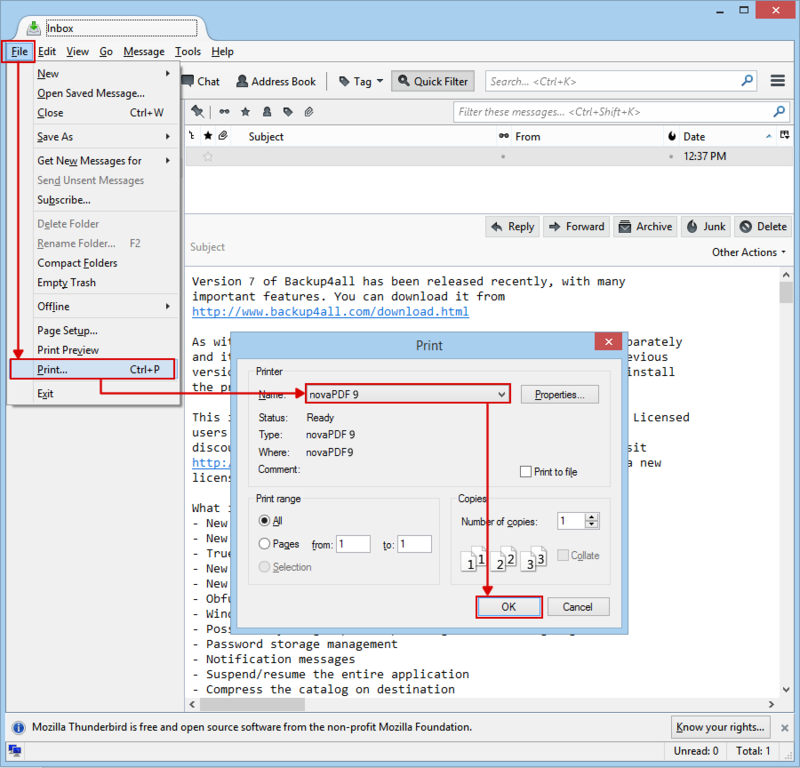 This tutorial shows how to convert an e-mail message to PDF (using novaPDF) from the following mail clients: Microsoft Outlook, Windows Live Mail or Thunderbird. novaPDF is a PDF converter that allows creating PDF files from any Windows application that supports printing. If you don’t have novaPDF installed, use the Download page to download and install it.